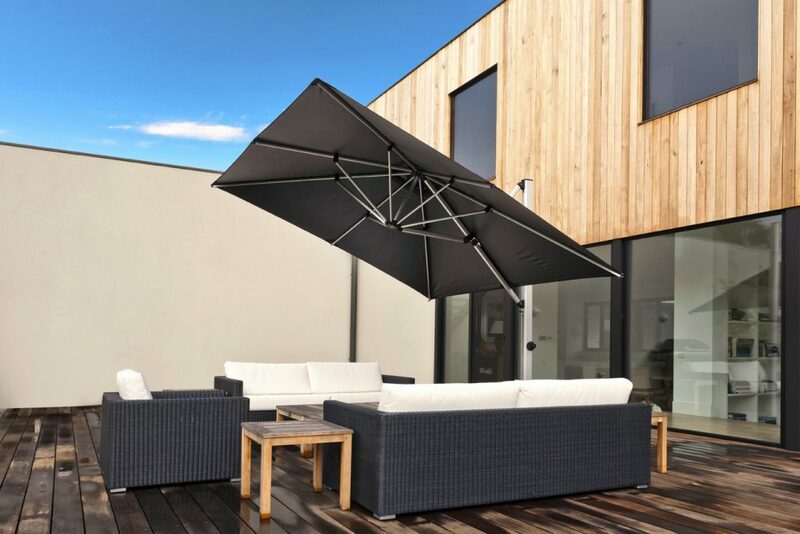 Our Aurora Cantilever umbrella will sure be a hit for customers wanting all the functions of a cantilever umbrella but are limited on space! Note 1: Wind rating applies when umbrella installed in accordance with manufacturer instructions. 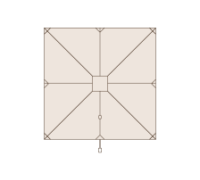 Note 2: Wind rating is a guide based on minimum 880 x 880mm square base, weighing at least 240kg. Wind ratings are a guide only. Umbrellas should always be closed in anticipation of strong winds and storms and should never be left open unattended. The warranty does not cover wind damage. 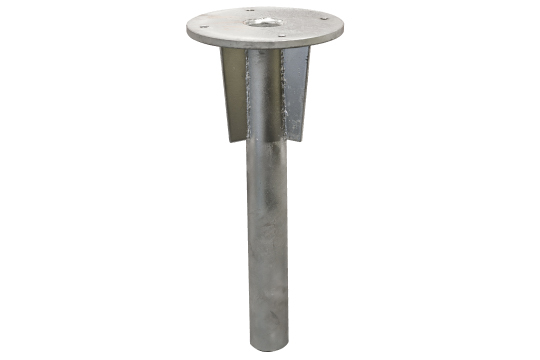 The spigot (pictured) is included with every side-post umbrella and can be bolted directly onto a concrete slab or decking. 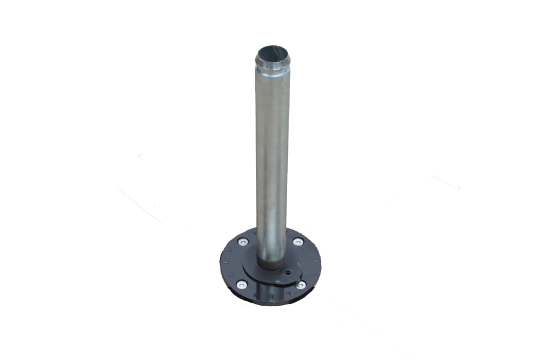 Additional installation accessories provide the option of making the spigot removeable. 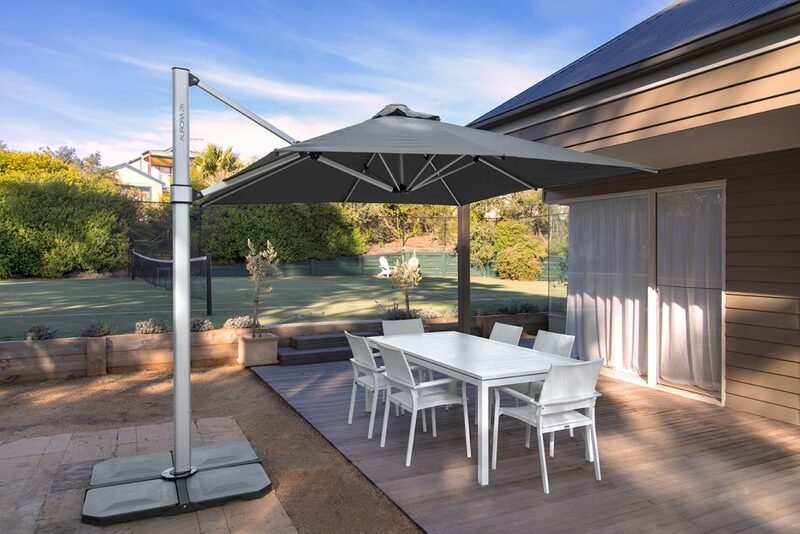 This non permanent option is perfect for areas where you would like to move the umbrella to different locations around the garden or if you live in a rental property. 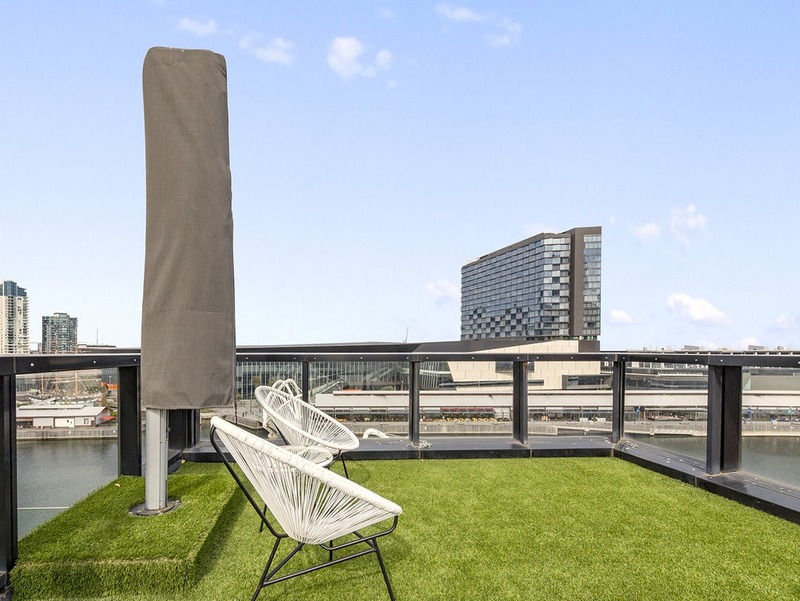 Designed for use with the Aurora Cantilever Umbrella Cross Base, these pavers are made from moulded concrete and come in a set of 4. Each concrete block weighs 22kg and measures 500mm x 500mm. 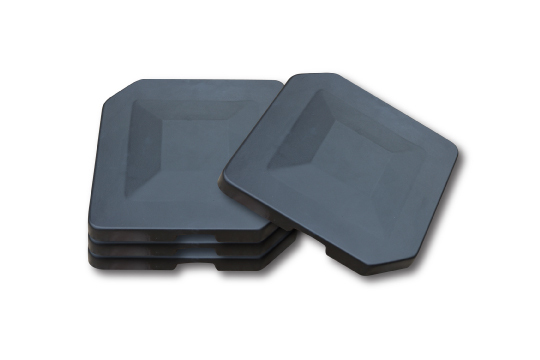 Our base plate is suited for areas with existing concrete or decking. Decking installations need to have extra support installed to the joists and for concrete the base plate can be bolted down with a minimum concrete thickness to be 100mm. 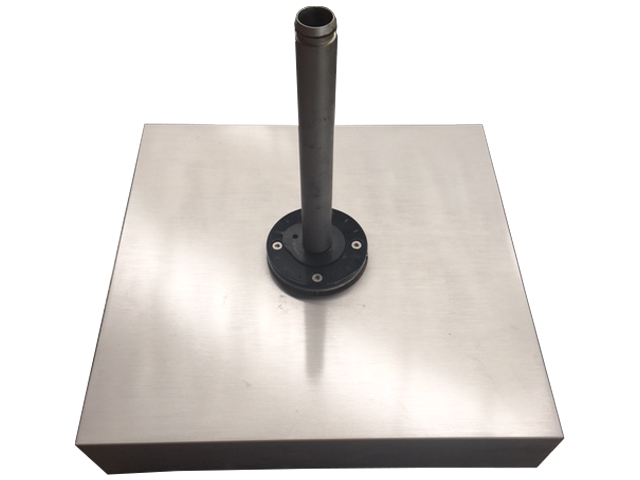 Click here to watch an instructional video on how to install a Cantilever Umbrella base plate to a concrete slab. 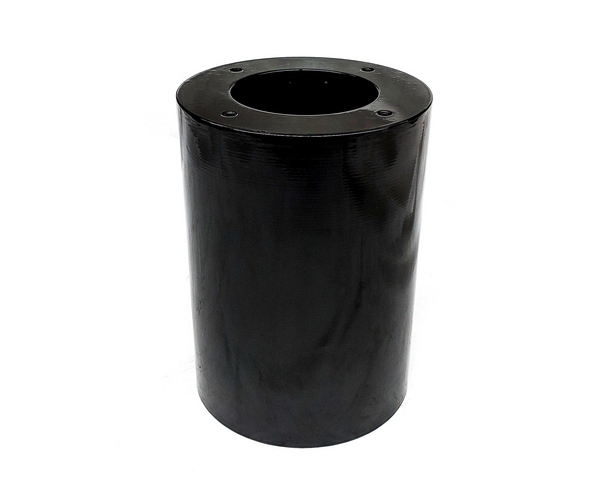 The inground sleeve is to be used for garden beds, lawn or any other soft surface or a paved area with sand/aggregate under the pavers. The hole will need to be a minimum of 40cm wide and 70cm deep and belled out at the bottom. Once the concrete is set approx 2-3 days (depending on weather conditions) you can install the umbrella to the sleeve. 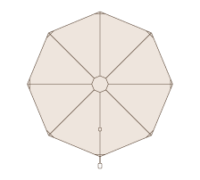 The Barrel extension is used to raise a cantilever umbrella out of dirt, sand or tan bark so it doesn’t cause any damage to the rotating mechanism or just to give some extra height to the umbrella if needed. 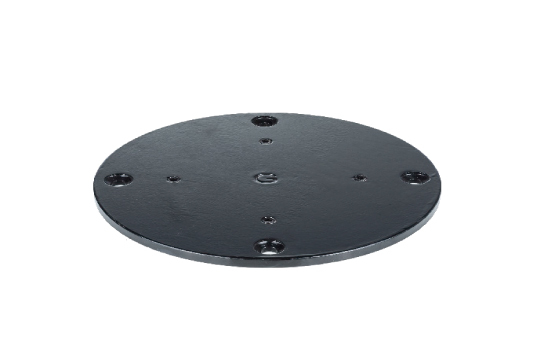 It is 300mm high and 215mm in diameter, and is black powder coated steel. The Barrel extension is designed to be bolted to an in-ground sleeve or base plate. 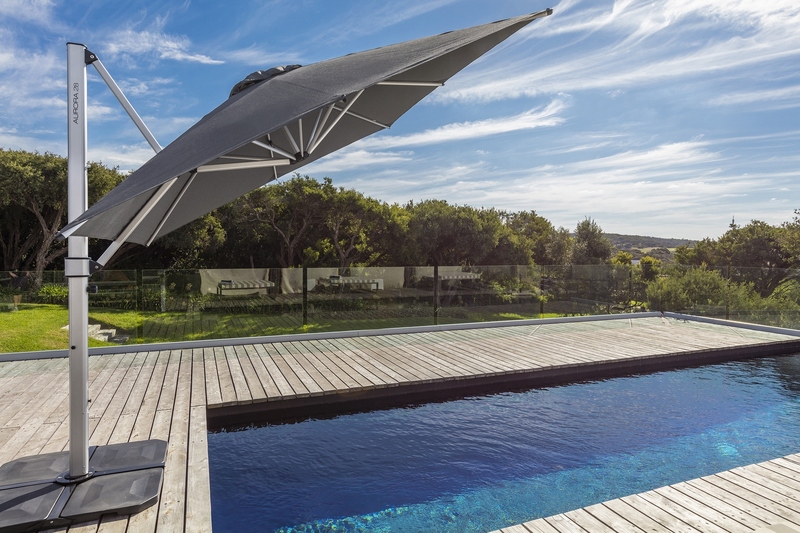 The sleek aluminium cover hides 12 concrete pavers (measuring 400mm x 400mm).This non permanent option is perfect for areas where you would like to move the umbrella to different locations around the garden or if you live in a rental property. The wheel set is optional, so you can use this impressive base without them. 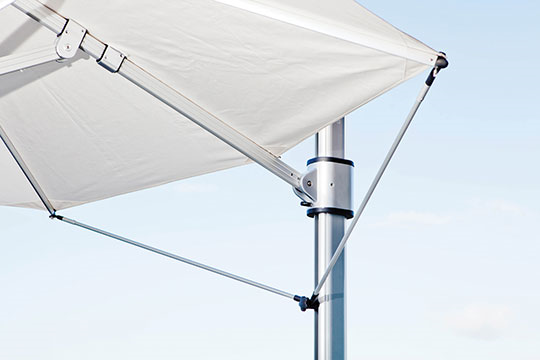 This type of base is suitable for light to moderate winds only, (depending on umbrella size). Please note the pavers are not included. 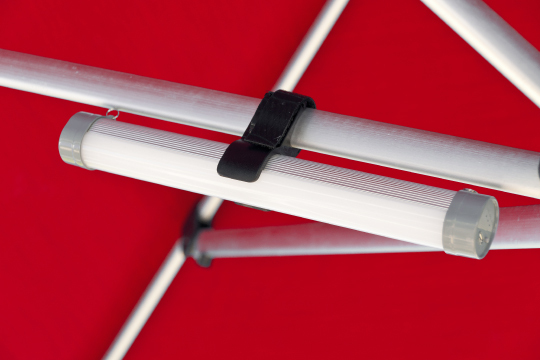 The Aurora cantilever umbrella has a uniquely designed fixed arm stabiliser bars. 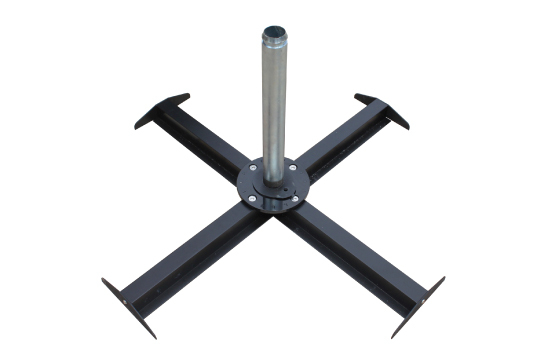 These stabiliser arms will greatly increase the umbrellas stability on windy days. The stabiliser bars screws into a mounting block already installed in the groove of the umbrella mast. Each stabiliser arm then attaches to the end of the umbrella arms to the left and right. The stabiliser bars are designed for an environment where the umbrella needs to be up for longer periods of time and windy conditions. Although we have designed our cantilever umbrellas to last and have manufactured the canopies using the highest quality outdoor fabrics, we still recommend using a cover-bag to protect your umbrella through the winter months. The cover-bag helps to keep the canopy clean and free from bird-droppings and other unwanted nasties. It will prolong the life of your umbrella and keep it looking its best for many years to come. Our rechargeable LED lights comes with matching clips to attach the light to the canopy frame on any location on the arms of the umbrella. You will need to plug in and charge the batteries before use and should last approx 6 hours. 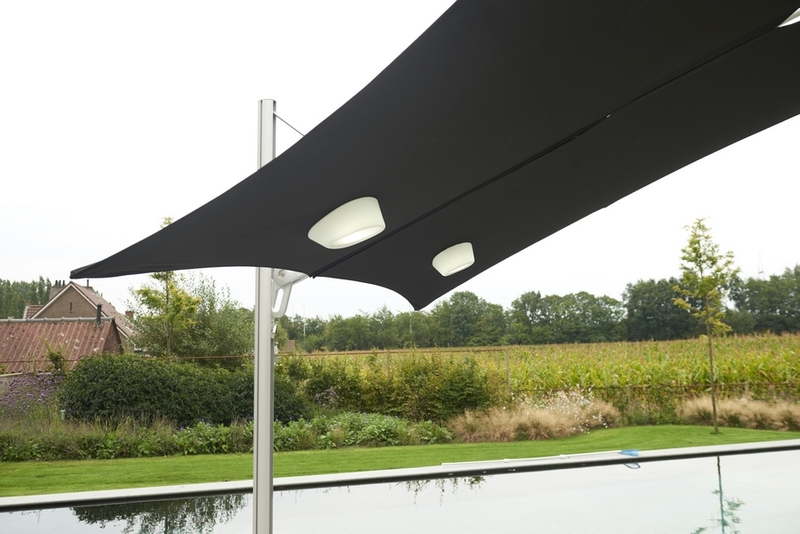 Made with a magnetised base the light can be placed on any metal surface, umbrella canopy, table top or even floated in a swimming pool. 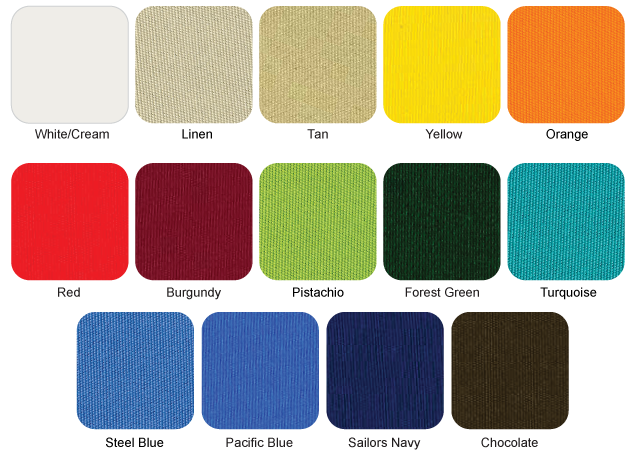 Ideal for indoor or outdoor use it has has an 8-10 hour battery life, and 24 different colour options. The Etna light comes complete with an induction charger, electrical adapter, infrared remote control, magnet and storage bag. 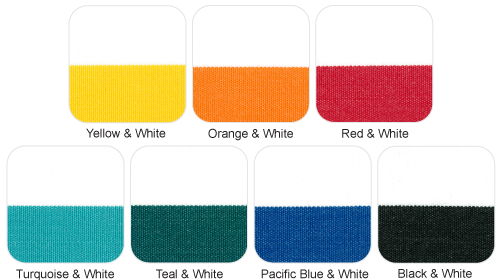 Contact us or your local distributor for more information, availability and pricing. We are Importers, Wholesalers and Distributors of quality umbrella shade solutions. Copyright © 2019 Instant Shade Umbrellas.